What to do with “Cheap” customers? First off, labeling customers “Cheap” is a surefire way to miss opportunities and there is no better illustration of that than this clip from Breakfast at Tiffany's. The scene is set inside Tiffany & Co. on Fifth Avenue in Manhattan. The two main characters, Holly and Paul, are having an outing and he decides to buy her a gift. Holly first admires a diamond necklace and then declares that wearing diamonds, before she turns 40 would be tacky. Paul decides he wants to buy Holly a present and Holly says she will accept a gift that is ten dollars or less. They approach the display counter and a sales clerk offers help. Paul then tells the clerk that Holly feels diamonds would be tacky for her and that they can only afford to spend a limited amount. Upon learning that they can only spend ten dollars, the clerk does find one item for $6.75. A sterling silver telephone dialer. Paul believes the telephone dialer to not be romantic enough and Holly also is not smitten with the item. Paul comes up with the brilliant idea of having something engraved as a gift to which the clerk replies that they would more or less have to buy something on which to engrave the initials. Then Paul takes out a ring that he got from a Cracker Jack box asking “We could have this engraved couldn’t we?” Holly asks if Tiffany’s would feel it was beneath them to engrave the ring. The clerk is most accommodating and offers to have the initials engraved by the morning. Holly leans over the counter, kisses the clerk on the cheek and, upon leaving, says to Paul “Didn't I tell you this is a lovely place?” You can see that the store she loves didn’t let her down and now she is even more in love with Tiffany’s. This is a familiar scenario when selling handmade jewelry. A customer walks in and your mind is filled with possibilities. They seem very interested in your collection and then they ask would it be possible just to buy a single charm, instead of the grouping. To that they add that wouldn’t need the chain either. On top of that they ask if they could get a box. The first instinct is to say no. After all, you’re not a supplier of jewelry findings you’re an artist. A designer. This sort of thing does happen and it’s not a bad idea to decide ahead of time how to handle these situations. While you may very well say no to some requests, there is also good reason why you might consider saying yes to other requests. 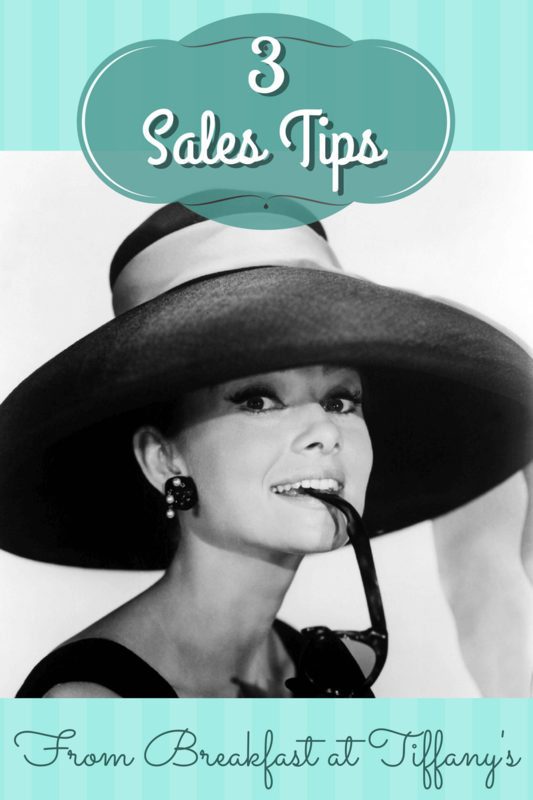 We all love immediate sales, but building a business and a strong brand does not happen all at once. Nor will a business thrive when we don’t take into account that customer relationships need nurturing. Maybe that customer who we label “cheap” is not buying from us today, or even tomorrow, but later they send other customers our way. Perhaps a year from now they will remember how much they loved the collection and the gracious customer service. When we make assumptions and project onto potential customers, we close the doors to opportunities. When Holly and Paul go shopping at Tiffany’s they don’t have much money to spend, but what the sales clerk doesn’t know is that Paul, who is a writer, has just published one of his stories and likely his career as a writer is just beginning. Both Holly and Paul also rub elbows with some pretty prominent people in society and although Holly is not yet willing to admit it, she is falling in love with Paul. Who knows, the two may be returning to Tiffany’s in the near future for an engagement ring. Let’s say the store clerk didn’t give them the time of day. 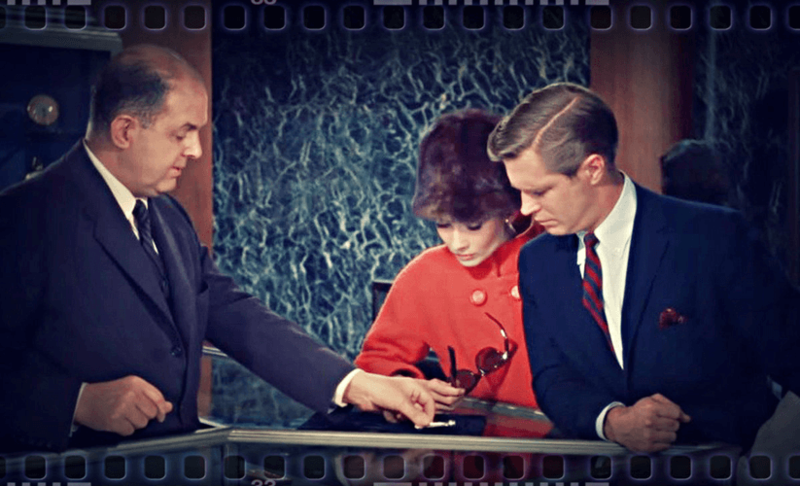 Would Holly and Paul tell all their society acquaintances about the dismissive service at Tiffany’s? Point is, none of us really knows what to expect from potential customers, but what we do know is that if we implement a high standard for customer service and make that part of our brand message, we stand to gain a lot. Don’t Assume: Save the projections and the judgments and treat everyone as though they have buying power. When you mirror that to your customers, they are more apt to see themselves making a purchase. Nurture Your Customer Relationships: Make the focus, in all your interactions with customers, grounded in relationship building. Get to know your customer’s likes, problems and dreams. While you may not be able to spend the time with each and every person when serving several customers at once, you can, on the whole, learn to identify what makes your customers tick. Learning more about their world will help you provide your customers with a product and level of service that fits their needs. Remember them and they will remember you for it. When you do that, you can bet that you will build a repeat customer base. Build a Brand Standard: Decide what your brand stands for and repeat your brand message throughout your business. Communicate that in every interaction that you have with potential customers. This is how you build a reputation and create customer loyalty. When customers know what to expect from you they don’t hesitate to make a purchase and they feel eager to return. Customers aren’t a “one-off” they are the future of your business. These customer service tips are the basis of a strong and healthy business. Tiffany’s knew this in 1960 and there is no doubt that the message was carefully and well-scripted in one of the best movie classics of our time. Decide, beforehand, how you will create top-notch customer service and you are sure to have repeat business.